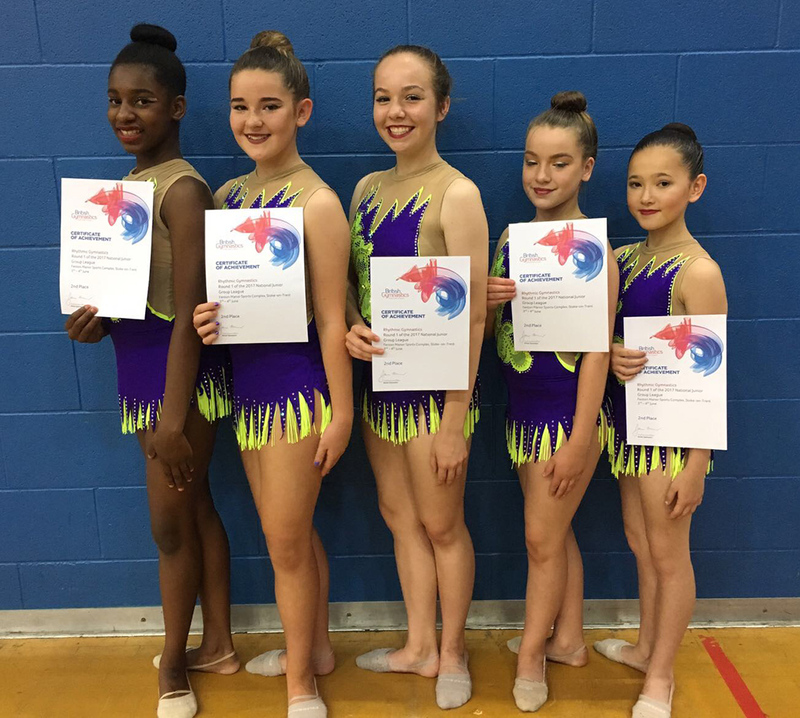 A great day out for the City of Birmingham Gymnastics Club Rhythmic Squads who competed in Round 1 of the National & Elite Group League Championships which were held at Fenton Manor Sports Centre in Stoke on Trent, 3 & 4th June. 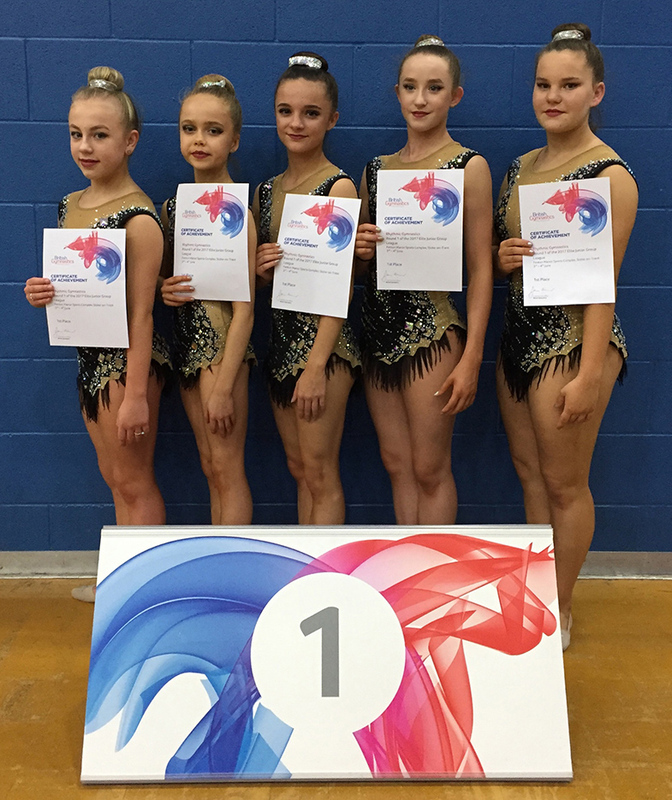 In the Junior Elite category the team Daisy Burke, Amelie Howard, Emily Hawkins, Francesca Barker and Alarna Turton competed in excelling fashion to take the gold medal winning position, a clear 7 makes ahead of the competing field. 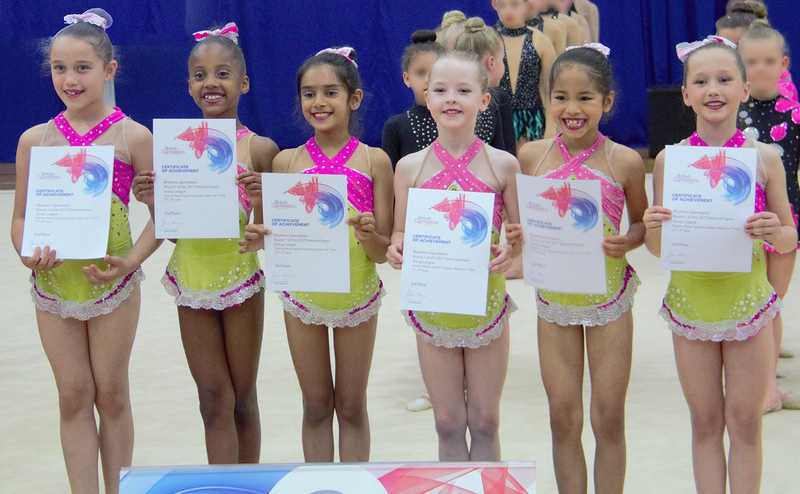 The success continued in the national Junior Group category with the team, Pearls, of Camone Gordon, Jessica Dodd, Olivia Whatmore, Amelia Jordan and Miya Walker who successfully took 2nd place. 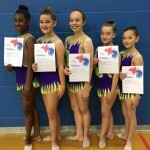 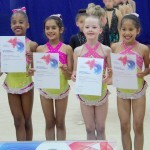 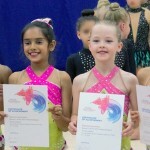 In the national group Espoir category two CoBGC teams were entered, Gems & Sparkles; well done to both teams but a special congratulations go to the Gems, Tia King, Tashia Murray, Aavni Patel, Hannah Jordan, Allie Neal and Ayumi Dunbar who took the bronze medal podium place. 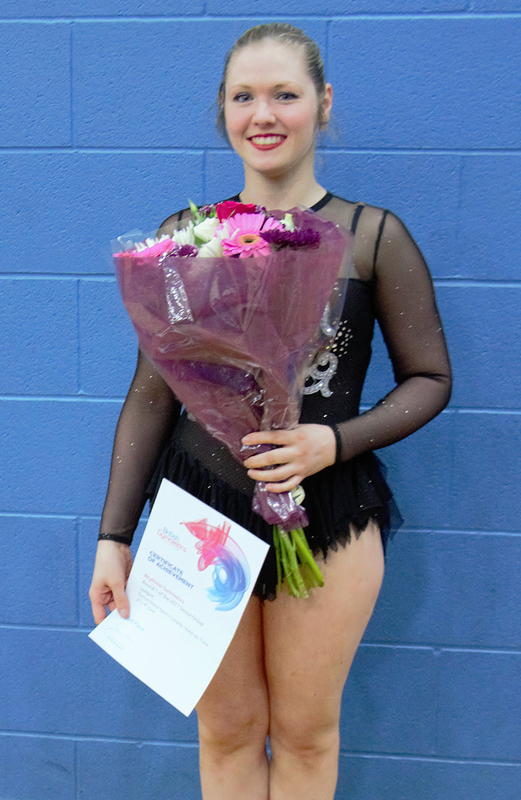 Final congratulations go to the senior team of Nicole Allen, Natasha Hodson, Jessica Bateman, Sophie De Bear and Charlotte Farrell who took bronze medal place. 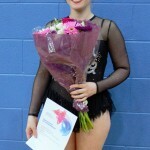 It was a special guest appearance from coach, Charlotte Farrell, that kept the team in the competition when one team member fell ill. City of Birmingham Coach, First year mother to baby Jack and former national level competitor Charlotte easily slipped back into her leotard and into competitive mode and assisted the team into third place in this first round of competition.